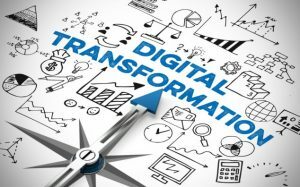 What is digital transformation really about? It’s the Service Desk and IT Support Show over at Olympia next week and I’ve been invited to take part in a panel discussion on Digital Transformation, hosted by Barclay Rae with fellow panelists Matthew Hooper and Adam Haylock. It should be a very good session with a lot of insights into what Digital Transformation means for businesses and their IT services and functions. Digital Transformation continues to be a hot topic for many businesses but many are still struggling with what it means for them and what they need to do. Our panel session, and a number of other sessions at the show, will help business leaders gain a better understanding of what it means and the implications for them. As part of the Digital Transformation sessions, I have also been asked to participate in a blog series for the Service Desk and IT Support Show which I am looking forward to. The first article covers the fundamentals of what it actually is all about. I look forward to seeing many of you at the show next week and talking more about Digital Transformation and how it’s impacting you as a technology leader. This entry was posted in Customer Success, Technology and tagged change, Customers, Digital, digitaltransformation, ITIL, ITSM, Service, SITS on 31/05/2017 by Jason. Are we ready for real 24×7 connectivity? Yes I’ll admit I’m an Apple fanboy at heart – it’s their whole customer experience and the simplicity of the Apple ecosystem that does it for me. It’s the idea of a “service bubble” again (as I’ve blogged about before – i.e. when you’re there with a brand and the whole experience is just right – from every interaction you have and you know it’s them), it just works. 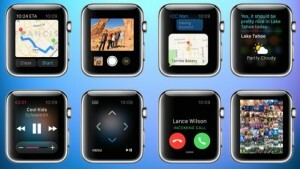 The Apple Watch won’t be the first smart watch on the block (just like the iPhone wasn’t the first smart phone), but it will work and it will sell and it will have the same consistent simple experience we expect and that we want. I don’t wear watches any more and I haven’t now for probably 30 years, but I’ll be one of those looking at spending £300 on an Apple Watch when it comes out. Yes it will tell the time like a traditional watch but I don’t need it for that (when in 2014 are you somewhere where you can’t find the time out?). It’s the ability to do so much more without having to find your phone and pull it out. Maps telling you the direction to go, a heart rate monitor (that you don’t have to strap around your chest and get friction burns from – that’s another story), messages from friends and family, access to my photos, online shopping, a camera and access to passbook (boarding cards, loyalty passes and more), to name a few. It will ultimately replace my trusty Garmin Forerunner 305 (that’s beginning to drop the signal a bit more than it should) but maybe when v2 comes out with GPS included (running with the Apple Watch and having to have an iPhone on me, doesn’t work for races just yet). But – and this is the big question – am I prepared to never be offline? Never offline – this was the title of Time Magazine this week – have we even considered what this means? You may say that you’re never offline now, with a smart phone always near by. But you can put it down. How often do you take a watch off? Rarely if ever. Always reachable, location always known and apps reacting to you realtime giving advice and directions – 24×7 365 days a year wherever you are (yes assuming you have a mobile data connection). We’ll get to a point when retailers know where we are and can automatically make recommendations on what to do, where to go and what to buy. We’ll see consumer behaviour changes that we’ve not even thought about yet. A lot absolutely will make sense and after a while we won’t know what we did without them (just like smart phones). But we need to consider the implications of some and work to make sure we don’t create a situation where having a smart watch becomes a necessity and if you don’t have one you lose out, to some extent. We need good – no make that excellent – mobile data coverage everywhere as well, to make most of the use cases for smart watches work. Not just global coverage, as in in all countries around the world, but even within countries and regions. Even near the great city that is London, solid 3G and 4G coverage isn’t there yet. And then there’s good old network roaming – just imagine travelling around the globe as we do, and suddenly being hit by extortionate data charges – it won’t work. Telco’s and other businesses will need to rethink their existing business models and come up with ones! It’s an exciting time! 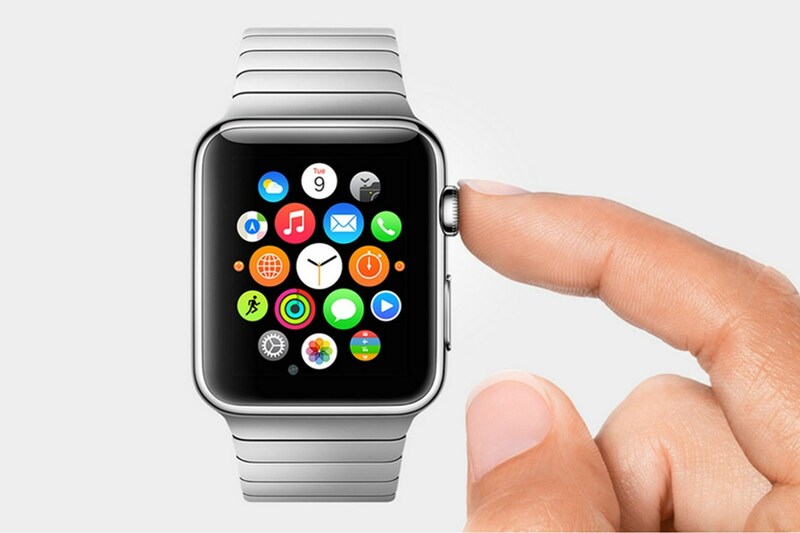 I can’t wait to see how things go when the Apple Watch hits the streets in 2015! This entry was posted in Apple, Customer Success, Technology and tagged 2015, 24x7, 3G, 4G, Apple Watch, Digital, ecommerce, Garmin, Garmin Forerunner, mobile coverage, Never offline, Service bubbles, smart phone, smart watch, smartphone, smartwatch, Time, Time Magazine on 23/09/2014 by Jason. Following very neatly on from my last post – way back in April – I found a great article this week, talking about the growing “threat” from online retailers and what the more traditional high street shops (our bricks and mortar friends) are doing to come back. Things like bundle deals, profiling great accessories, personalised high street shopping and shopping as an experience much like Apple do now are all coming. 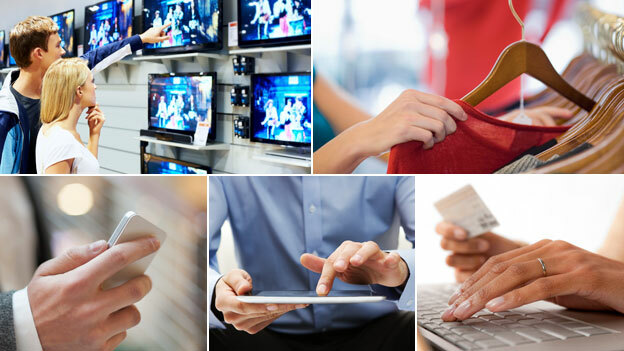 The one thing that’s sure, is that for the customer and consumer, the shopping experience of the future is going to be very different from today! 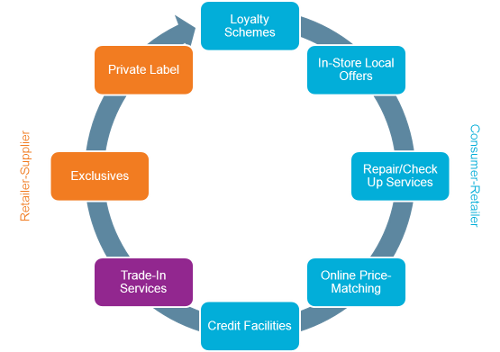 This entry was posted in Customer Success, Technology and tagged Amazon, Digital, e-commerce, HMV, Jessops, Online, Retail, Shopping, Star Wars on 16/07/2013 by Jason. Is this the future of shopping? Showrooming and paying to browse. My first blog for a few months – this article caught my eye and is on a similar vein to some of my previous ones about the future of shopping. 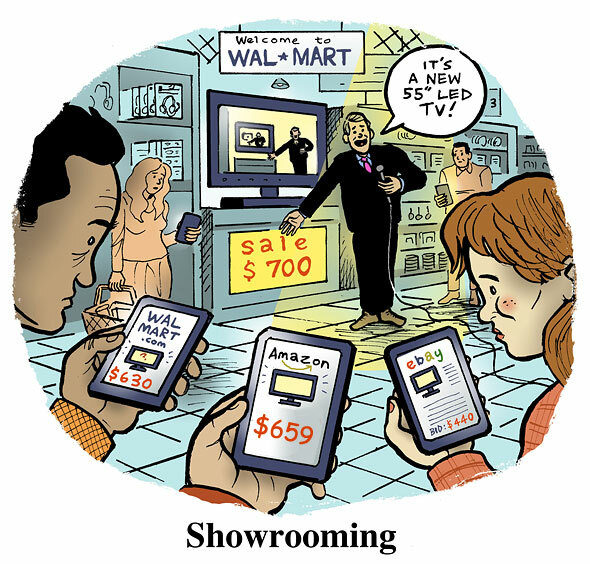 A very interesting article from the BBC on “showrooming”. Something you may have never heard of but like me something you do lots. So what is it? You’re out shopping with the family and browsing a high street bookshop (for example) and find something that takes your fancy – your normal reaction now is to scan the barcode and check the price on Amazon (pretty much the de facto online shop for us all) and no surprise it’s cheaper. You then order online and a couple of days later it arrives, backed up by the great service that Amazon provides. The high street bookshop clearly loses out here and there isn’t much it can do – they have more physical shop space to pay for and staff to help customers. Or is there? We all do it. And it saves us money as online is normally (much) cheaper. But it doesn’t help the high streets stores. Charging for browsing is an idea to tackle this growing problem and it only needs to be a small charge, that you get knocked off your bill in the shop if you buy anything from them. I like it – it makes sense and it’s easy to do. But unless the prices come down in the shops, it’s not going to help long term get us back on the high street buying, which is what’s needed. Another interesting article over on Euromonitor talks about other ways retailers are looking to address this problem – in-store discounts, store loyalty schemes, online price matching and more. Some I can’t see working – loyalty schemes can apply online and the likes of Amazon have their own loyalty scheme (attached to their credit card); online price matching hasn’t caught on – any price matching that is done now is very restricted and never includes online as it’s more often than not too big a difference to match. Jessops, HMW and Waterstones in the UK have all had this problem and in some cases suffered massively as a result – and gone out of business. Is it too late for the rest of the high street to change? This entry was posted in Customer Success, Technology and tagged Amazon, BBC, Bookshops, Browsing, Digital, Euromonitor, High Street Shops, HMV, Jessops, Loyalty, Online, Shopping, Showroom, Showrooming, Waterstones on 21/04/2013 by Jason. 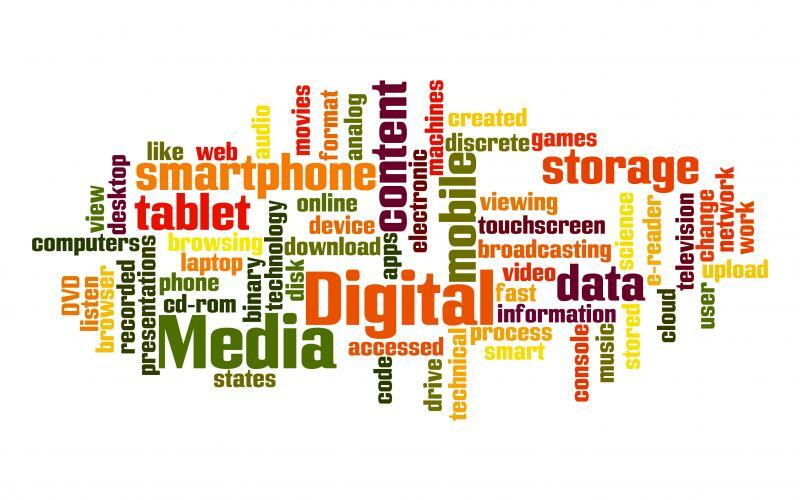 Connected content – it’s nearly time! I’ve long preached the time when we’ll be paying a single fee that covers all our home connectivity and includes unlimited access to all the content we would ever want (music, videos, games, books and more), and all through a single joined up service provider that knows what they’re doing and where it all just works (including how I access everything and when – so a big mobile and hardware bit). Are we there yet? Nope, but there are some very clever interim solutions and ways to almost get some of this. 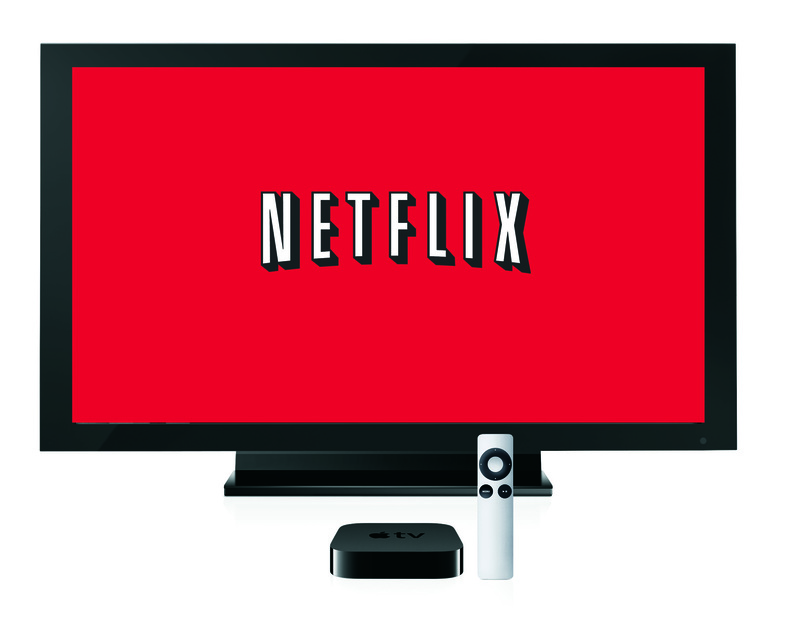 I caught up with a good friend this week who I’ve not seen for some years and we were talking about the joys of using Apple devices and in particular how good Netflix was on it. So far I’d resisted the Netflix move. Just couldn’t convince myself it was worth it and that it would be that good. But I took the plunge today and boy am I impressed. On the Apple TV it really is as if it’s a content channel with the same great Apple usability as the Apple TV box. And even the little Nobles can successfully navigate it. There are box sets on there to watch, that I’ve recently bought the physical DVDs for – yes I know it’s physical but I couldn’t find digital anywhere for the right price (until now). My DVD collection (that has been getting smaller as we move to a digital world) is now pretty much obsolete thanks to Netflix – minus Disney and Star Wars (technically though that’s also Disney). They’ll all come I’m sure – they’re already on Lovefilm and similar. So my Apple TV is now looking even more appealing. The music link is still missing – sure I can link to my iTunes library but I want more content streamed, not my library only. Spotify can plug that gap for the music but it’s not on the Apple TV (yet). I can only see this getting better and very quickly. Whether we need Apple to bring out a physical TV box I’m now not sure. Their little Apple TV box of magic does it all and plugs into any screen I want. I can control it with my iPhone and it works. Total connected content as I described above? Not yet. My broadband, phone, TV and content are all with many different (carefully) selected (good) providers – including Sky, BBC (care of the license fee), BT, O2 and now Netflix. But thanks to good devices it’s all joined up and it won’t be long before we see some very clever services coming in that offer more or all of it in one package. Anytime, anyhow and anywhere – IS coming soon…! This entry was posted in Apple, Customer Success, Technology and tagged Apple TV, BBC, Broadband, BT, Content, Digital, Digital media, Disney, DVD, iTunes, License fee, Lovefilm, Media, Netflix, O2, Online, Physical media, Sky+, Spotify, Star Wars, Streaming on 09/02/2013 by Jason. Are we sad? Not really. Will we miss it as much as other physical media? No. It’s been around 21 years – wow! I didn’t realise that and I’ve never had one or used them. Too much of proprietary format – like many others – but amazing that it’s lasted so long. One more physical format gone. 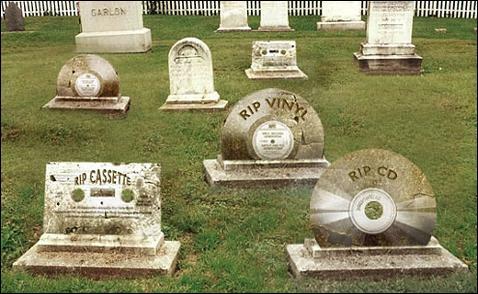 And it will be interesting to see how much of a dip, if any, there is in the sales of physical media (music) as a result. Not much I suspect. The big question is, who’s next? And when? This entry was posted in Technology and tagged Digital, Digital media, Format, Japan, MiniDisc, Music, Physical media, Proprietary, Sony on 01/02/2013 by Jason. Do digital and online mean the end of the high street? I’ve long been a big fan of digital content – in all its forms – and how it’s changing our lives for the better. More choice, more variety, better (read cheaper) prices and convenience. It’s all about the anytime, anywhere and anyhow philosophy – with us consumers far more in control of when, where and how we consume. But, this clearly has an impact on the more traditional world of content in its physical form. And also drives our retail experiences – beyond simple content. 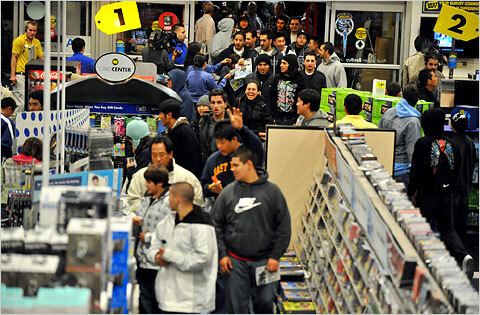 Can digital/online and physical/traditional retail co-exist peacefully? Yes they can. What about our traditional high street shops? We need them but they need to change. Should we all buy online? A good question! It’s not just about digital content – going online for content ultimately impacts my other retail experiences and drives me to the same retail channels, online, for other products. It’s number 3 that right now is the big one. In the UK we’ve seen some major high street shops go under recently – or change hands and scale down. Including – Game, Jessops, Comet and HMV. Some with years and years of history going right back to when consumers started listening to and consuming content (and buying products). So why are they struggling? I think it’s quite simple – a reluctance to change and move with what consumers want (all of the above in the introductory paragraph). Cheaper prices, more choice and one not mentioned above better service. This last one is important and maybe something not considered as much as it should be. 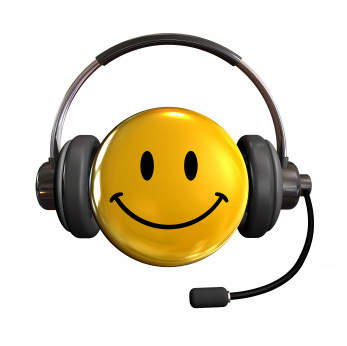 Good service – or even excellent service (of which I’m a huge fan) – is crucial to build relationships with your customers and get them back and get the all important repeat business going. Just look at how Amazon do customer service. No quibbles when taking items back – fantastic return policies – and people to help when you need it, however you want to contact them (not waiting round for someone who might not be the right person to help). Another big plus online is the whole idea of reviews – from consumers just like you, telling you exactly what they think of the item, good or bad. This helps you make your decisions. Your typical high street shops now are used more for browsing – and people then compare prices with online retailers, go away and order online for it to be delivered a couple of days later. Sure there are some purchases that don’t make sense to do this way but more people are going this way. And yes I’m one of them. How can I justify a book in one of the few remaining high street shops, when online (and by online I mean Amazon) it’s half price (with great service and quick delivery) – there just isn’t any competition. I can shop when I want and even when mobile. It’s all so convenient. Everyone talks about how much of their Christmas shopping these days is done online and typically this means Amazon. It’s another post about whether Amazon’s business models (pricing) are sustainable or not for them – but so far it’s working and their bottom line is healthy (now)! 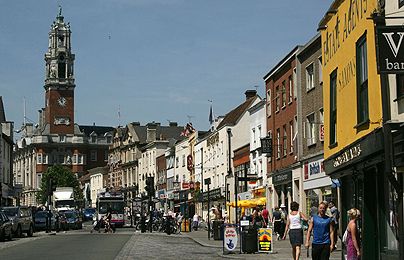 So now to the crunch question – is there still a place for the traditional high street? I think there is. 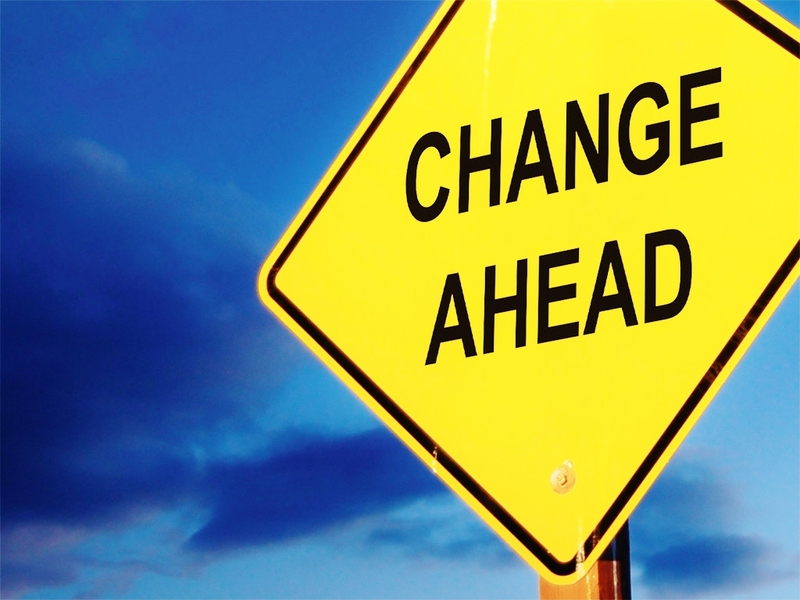 A lot of change is needed and retailers need to embrace online and digital as well as their traditional retail arms. This is critical. If they don’t – and don’t do it quickly, they’ll sadly go the same way as others. For us consumers, it’s an exciting time but will be a sad one as well if we lose well known names from the high street. This entry was posted in Apple, Christmas, Customer Success, Technology and tagged Amazon, Christmas, Comet, Consumers, Content, Customer Service, Digital, Game, High Street Shops, HMV, Jessops, Physical, Shops on 26/01/2013 by Jason. 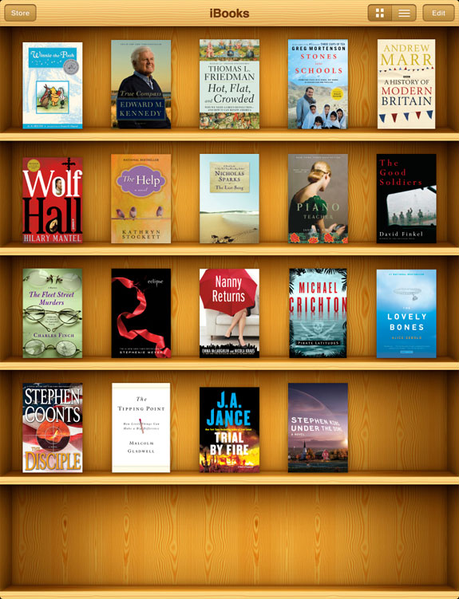 Still on the digital books theme as I’m loving iBooks on the iPhone right now. Pretty much the only reason I visit a real bookshop these days is to browse and let the kids enjoy kiddies book sections. Inevitably I go away and order online (yes through Amazon), for the printed book, as it’s cheaper and not just a bit cheaper. Last weekend on such a browsing session, I spotted a book called “The Art of Running Faster”. It looked great, (and yes I’m trying to run faster) so I went to Amazon but then thought no, let me check on Apple’s digital bookstore. And yes it was there and about 30% cheaper than the printed one. Sample downloaded, read and enjoyed and I went to click the buy button. Suddenly the price had jumped up to more than the printed book in the real shop. Say what? Why on earth have they done this? Convenience yes but more expensive to download and read on my phone? No thanks. Right now we’re in the transition to digital for books so we need to be incentivised to buy digital. You don’t get more features, it’s just a bit more convenient. It should be cheaper. What to do? I decided to check out the Kindle app on the iPhone – a first for me – and it was there and even cheaper than the first cheaper price on iBooks. Brilliant. So buy I did, and boy is the purchasing process on Amazon good. So simple and quick. A top result. And yes the Kindle app works well. iBooks now has a competitor. This entry was posted in Customer Success, Technology and tagged Content, Digital, iBooks, Kindle, Model, Pricing on 16/10/2012 by Jason. Another nail in the physical content coffin – books. Back on the commuter trail into London, I’ve been using iBooks on the iPhone (my trusty 4S) for a while now. It’s near perfect for train reading. You can hold it in one hand, navigate through the book with your thumb and one finger and with the right type of books, you couldn’t ask for a better reading (consumption) experience. The books I’m reading right now are a series of history books – “History In An Hour“. Ok so they do take me, a bit more than an hour – 20 minutes here, 20 minutes there (journey in isn’t one hour) – but they’re very readable and hey I’m learning something. South African history, World Wars One and Two, The Afghan Wars (there have been a few), The Cold War and The American Civil War to name a few. The huge plus with reading them on the iPhone, is the convenience. The phone’s pretty much always with me and very accessible. No more having to carry books around with me, that take up more shelf space at home. Yes I am a huge fan of printed books and my home office wall resembles a small library. That bit about physical books I love and also reading for the little Nobles, but there is a need now for me for digital books and Apple’s iBooks application is the answer. The genius of Apple usability and customer experience helps big time! This entry was posted in Technology and tagged Apple, Books, Content, Digital, e-books, eBooks, History, iBooks, iPhone, South Africa, WW1, WW2 on 06/10/2012 by Jason. Silence for a bit too long – new position back up in the city (London) and lots to do, so quiet on the blog front. 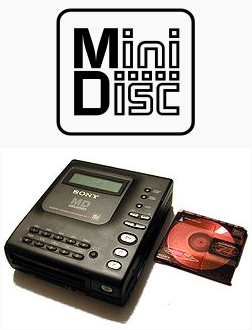 But a very interesting article I saw tonight – yes again on the BBC – about a pending court ruling about whether MP3 music files can be resold. Hmmmmmmm. Makes you wonder. As an individual I bought them, as long as I’ve not copied them I should be able to re-sell them. I can do it with physical goods, so why not digital? For a business though? Well why not – you get second hand shops (including for music, videos and games and books) for physical goods and they’re total legal and everyone’s happy about them. What difference does it make that it’s digital, just a different medium for consuming the content? None really – other than it’s potentially easier to copy the content.